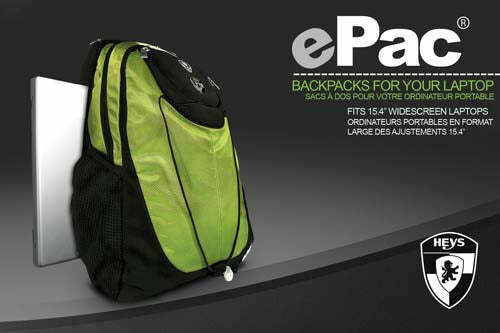 What sets the ePac 05® apart from the other laptop backpacks is its Patent Protected side-loading laptop compartment. This exclusive compartment for your laptop has 4 foam padded walls and a super thick 2" foam floor to protect your laptop incase of a vertical drop. 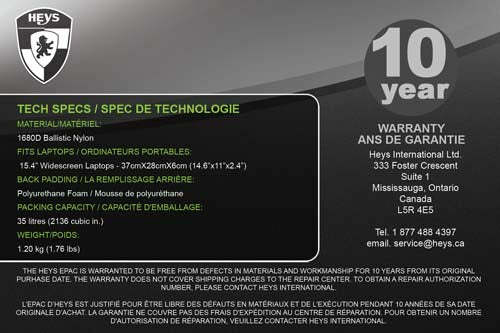 It comes with a 3 digit combination lock for the times when extra security is necessary. Luxurious comfort is provided by the combination of S-shaped shoulder straps with special Jelly-Centers, working in tandem with a heavily padded Air-Mesh foam backside with a unique Velvet covered lumbar support. 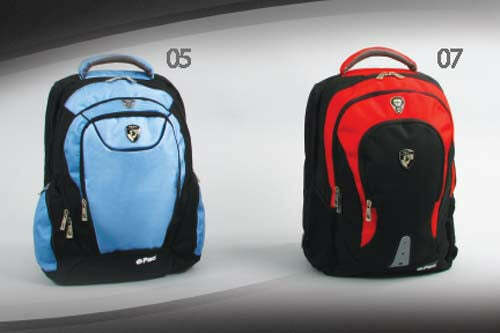 The importance of a comfortable backpack can not be stressed enough, as students are carrying more and more books, it is imperative that the backpack be very comfortable. The ePac®, with all its features, will deliver a supreme level of comfort. 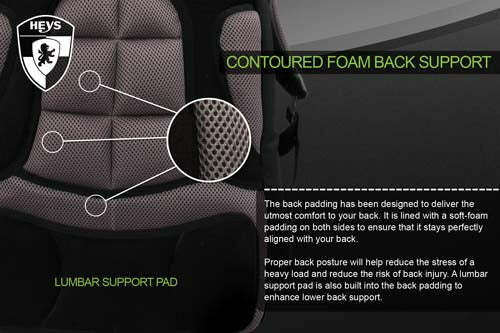 FULL Backside padding with Patent Protected Lumbar support to help de-stress your lower back. 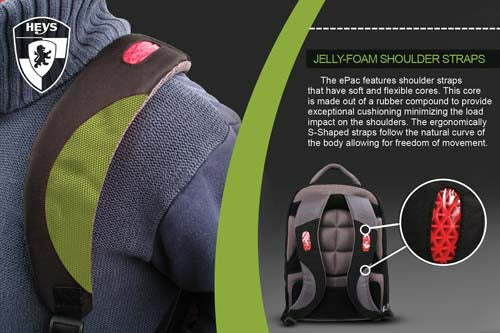 Special Jelly-Centre shoulder straps to help cushion the weight on your shoulders. S-Shaped shoulder straps for a better fit around your shoulders. 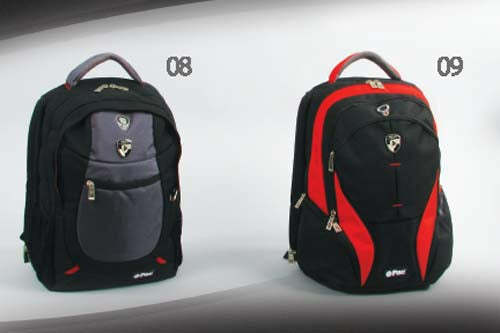 Comes with a bonus 'Techno-Pod', a separate bag to house your iPod, mp3, or digital camera while on the go. 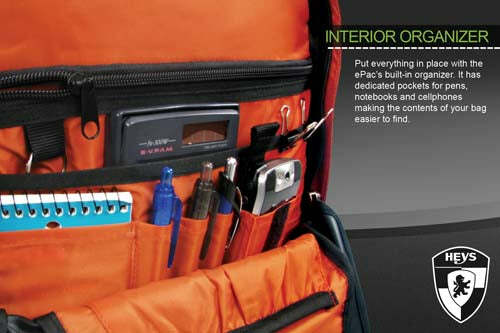 Built-in organizer panel with cellphone, pen, paper, and accessory pockets. 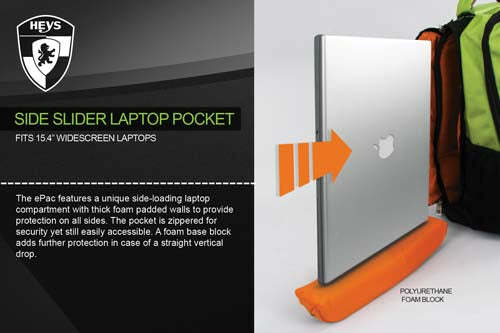 Burnt Orange lining so you can easily find your things inside.